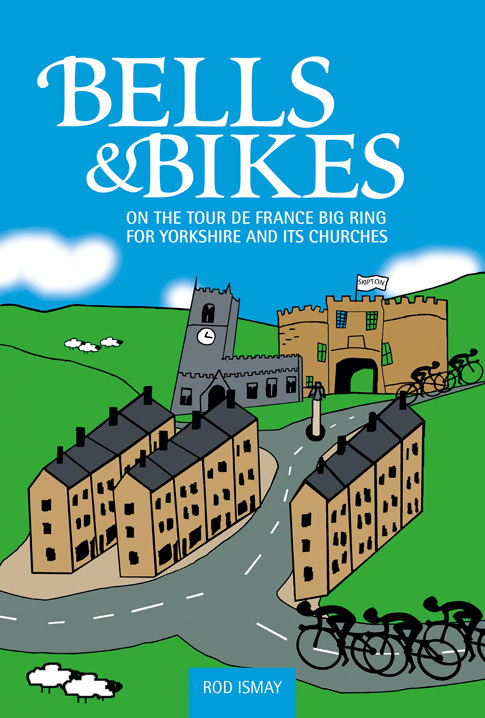 This is the story of how Yorkshire Churches were brought centre stage for the Tour de France when Yorkshire became the host for the 2014 Grand Départ. Rod Ismay has a passion (some would say obsession) for the Tour de France. If you think you know someone who is obsessed, think again, but fortunately Rod’s issues found their natural home when his native Yorkshire became the host for the 2014 Grand Départ. Rod also has another passion – as well as cycling he is quite keen on bell-ringing, so why not combine the two? Why not get all the bells ringing along the Tour route, why not organise countless events, countless meetings, why not drag in churches far and wide, why not involve your employer, your friends, your family, why not photo-bomb five-time Tour winner Bernard Hinault? Rod threw himself, his King of the Mountains jersey and his endless enthusiasm head first into making this Grand Départ about as good and memorable as it could be. Rod has written with passion about Yorkshire, its people, those two stages of the world’s greatest cycle race and the churches, ringing their bells all along the race route. If you like cycling then you will love this book. If you know Yorkshire then you will read this book with pride. If you are thinking of marrying a Tour de France obsessive then you need to read this book first.